The Fellowship was fortunate enough to obtain a copy of THE EMPTY #1 from Image Comics. Jimmie Robinson writes, draws and colors. Tanoor is a hunter. She hunts in the Empty, a poisoned wasteland, for meat to help her town survive. But the waste is only getting worse. One day Tanoor pulls a body out of the river. The body is named Lila, and she’s an alien who seems to have the power to heal plants. Tanoor promises to help Lila get home if Lila will try to heal the poisoned roots that cause the waste. Tanoor is, simply put, a badass. She hunts in the Empty (with nothing but her interesting arm blades) while her townsfolk (and especially their leaders) cower in their meager homes. She talks plain and with no fear of offending, and that’s a great way to set up her personality for the readers. And the art does some cool things, especially with Lila; her differences may prove interesting in time. This book is the beginning of a quest to save a nearly dead world. If anyone can pull that off, it’s Tanoor. And I can’t wait to see how she does it. 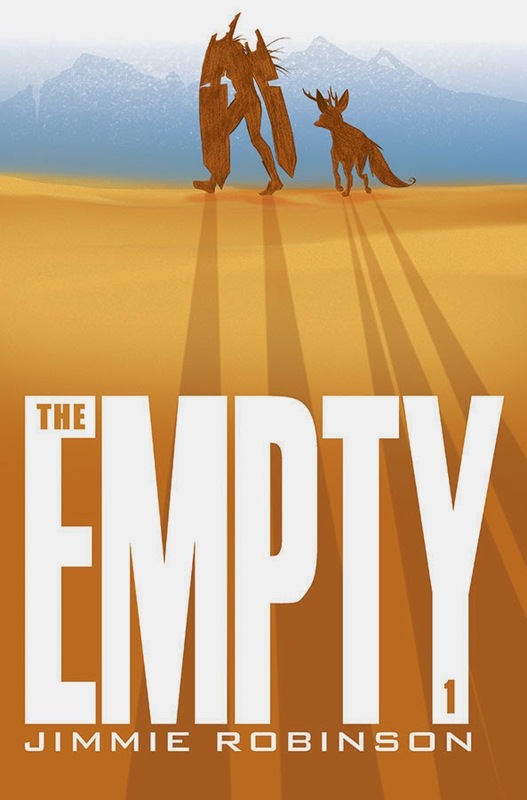 THE EMPTY #1 is available now at your FLCS or at imagecomics.com.